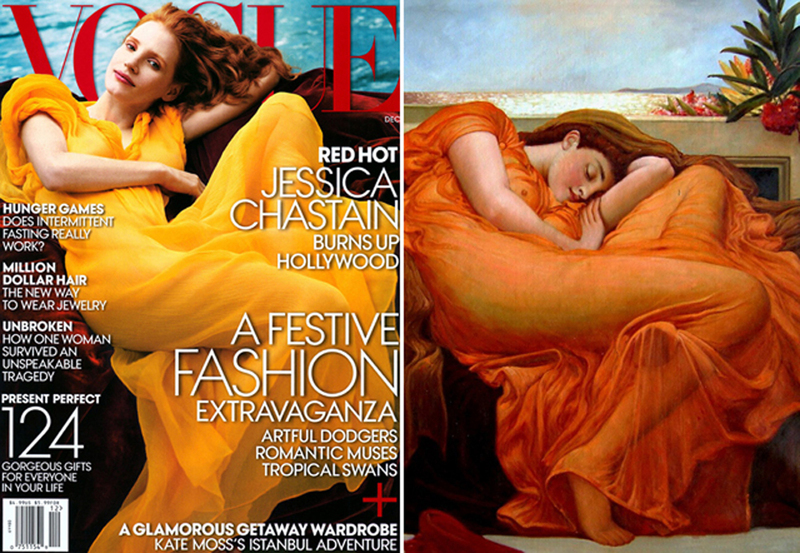 1/ Homage to Sir Frederic Leighton's Flaming June, 1895. 2/ Homage to Vincent van Gogh's La Mousmé (La Mousmé, Sitting in a Cane Chair, Half-Figure), 1888. 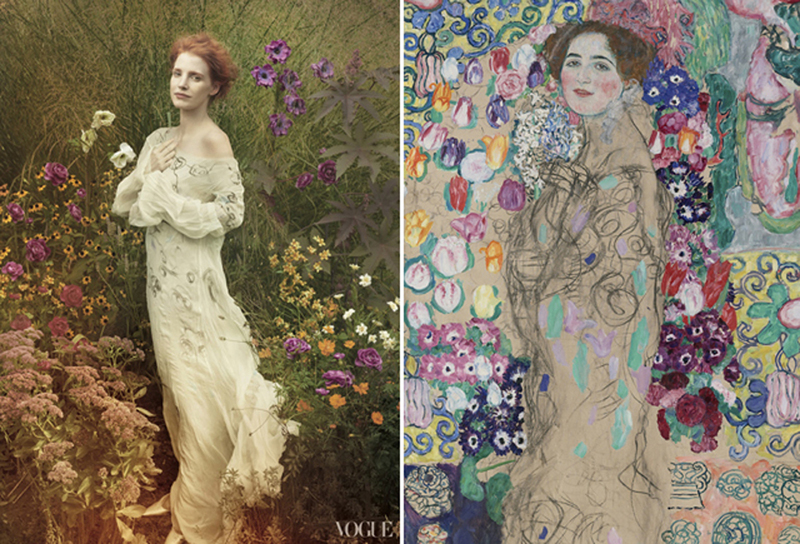 3/ Homage to Gustav Klimt's Portrait of Ria Munk, 1918. 4/ Homage to Anders Zorn's Portrait of Frances Folsom Cleveland, 1899. 5/ Homage to Félix Vallotton's Le Retour de la Mer, 1924. 6/ Homage to René Magritte’s La Robe du Soir, 1955. 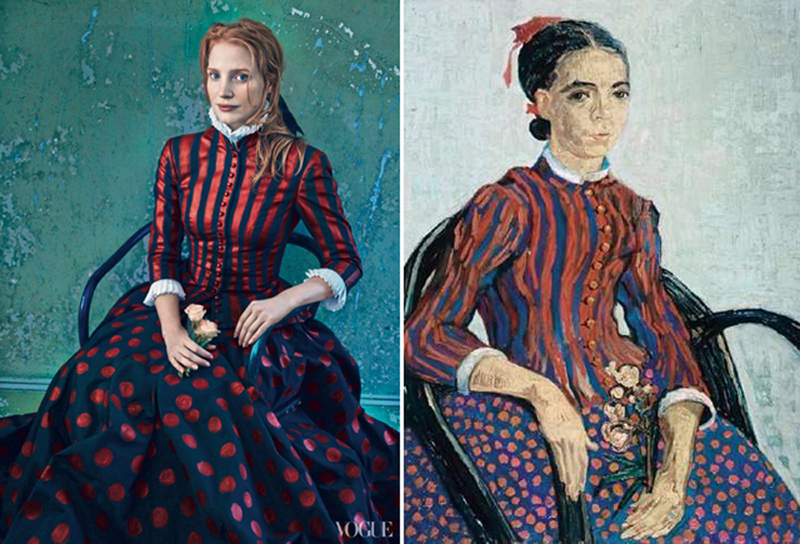 Photos: Annie Leibovitz for Vogue. Fashion Editor: Grace Coddington. Model: Jessica Chastain.